Your indoor air is not safe. You’ll disagree of course, but it’s true. Volatile organic compounds (VOCs) such as benzene, formaldehyde, trichloroethylene, xylene, and ammonia are fixtures in homes and offices that have furnishings, upholstery, synthetics building materials, and cleaning products. Even then, this is only a small part of what could shoot up the air quality index in your home or office. Pollen, bacteria, moulds, outdoor air contaminants like car exhaust and poor ventilation make things worse. Exposure to these VOCs could lead to symptoms such as a headache, to vomiting, drowsiness, to liver and kidney damage, swelling of the lungs and coma. But it’s not time yet to panic. There is an easy way to clear out the gooey stuff in your air. Plants have been known to purify the air. It’s one of their many super powers. They can absorb a lot of the VOCs that are holding a knife to your lungs. Most of the work around the ability of houseplants to improve air quality are founded on NASA’s Clear Air Study of 1989. 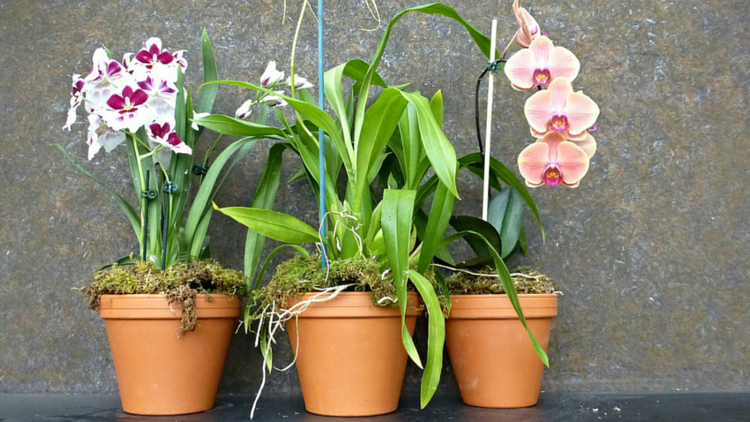 In it, NASA spotlighted houseplants that are effective in keeping the air breathable. Here; we’ve listed the 10 that grow in Nigeria’s tropical climate. The Golden Palm features feathery, arching fronds. It removes formaldehyde, xylene and toluene from the air. Most of us know the Aloe Vera as a miracle skin saver. It’s been known to heal minor wounds eight days faster than regular dressing. But did you know it’s also a major air cleaner? In addition to its place in your beauty regimen, Aloe Vera removes benzene and formaldehyde from the air. The Snake Plant is also known as the Mother-in-Law’s Tongue. The plant is hardy and can survive long periods without watering. Its bold and clutter-free lines make it one of the plants of choice for architecture and interior design. It doesn’t just sit there looking beautiful, though. The Snake Plant removes benzene, formaldehyde, trichloroethylene, xylene and toluene. Is your space especially dank? And you don’t have time to worry about the dankness ? The Peace Lily is made for you. The plant is one the easiest to propagate of all flowering houseplants and tolerates stuffy indoor conditions better than most houseplants. It needs only a little amount of light and water to survive. The Peace Lily removes benzene, formaldehyde, trichloroethylene, xylene, toluene, and ammonia from the air. Aglaonemas are beautiful. Even if they have no use more than to hang around and look beautiful, you should still plant them. But thankfully, they do. Aglaonemas remove benzene and formaldehyde from the air. They were mostly cultivated as outdoor plants in the 90s, but they’ve become popular with indoor growers since the turn of the millennium. The Date Palm Dwarf is a popular ornamental indoor plant grown for its beautiful feather leaves. They grow well in Nigeria’s tropical climate and make easy gardening for the novice gardener. They are easy to plant and care for. The Date Palm Dwarf removes formaldehyde, xylene and toluene from the air. This plant gets a lot of flak for being a 7-second child-killer and an undercover floral avenger sent to snuff out humanity because of all those beautiful forests we hacked down. None of these is true, though. Although the Dumbcane is toxic, it doesn’t kill humans. If anything, it tries to keep us alive. The Dumbcane plant removes xylene and toluene from the atmosphere. The Weeping fig also known as ficus benjamina, is a low maintenance houseplant perfect for temperate climates like Nigeria’s. The Weeping fig removes formaldehyde, xylene and toluene from the air; but do not put a weeping fig around an air conditioner vent as they do not like the cold air. The Ivy, also known as Golden Pothos, is an evergreen vine with speckled leaves. The plant produces trailing stems when it climbs up trees and these take root when they reach the ground. The plant is hardy and can take poor light and watering for a while. Perfect for your clammy office. The Ivy removes benzene, formaldehyde, xylene and toluene from the air. The Lady Palm grows in multi-stemmed clumps with glossy, palmate leaves divided into broad, ribbed segments. It removes formaldehyde, xylene, toluene and ammonia from the air. Do you want to know more about the plant best suited for your home or office? We help people plant and maintain indoor gardens. Contact us and let’s get started.